Fabio Jakobsen will be leading Quick-Step Floors stage aspirations at the Tour of Guangxi. The Belgian team will close the WorldTour calendar fighting for stages and good GC positioning. 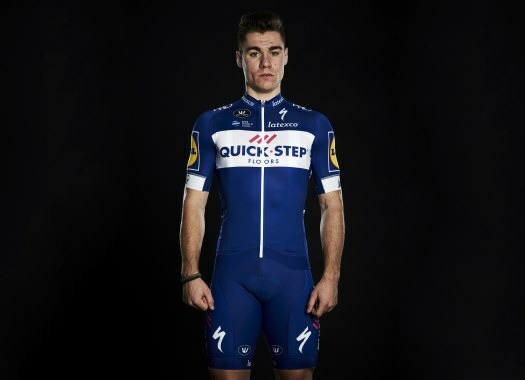 Quick-Step Floors wants to add to the 71 victories it has taken in the 2018 season with a strong roster in China. Dutch rider Fabio Jakobsen will be the captain of the team during the flat stages and will try to get his second victory at the WorldTour level after he took the win at the first stage of the BinckBank Tour. "It’s our last appointment of the year and we came here to get some more nice results, just like last season," said Sports Director Geert Van Bondt. "Fabio will be backed by a strong squad in the sprint stages, and as you could see, there will be several opportunities for the fast men. "We would also like to do a good general classification and having on the team several cards which we can play depending on how things will be unfolding gives us a lot of confidence."